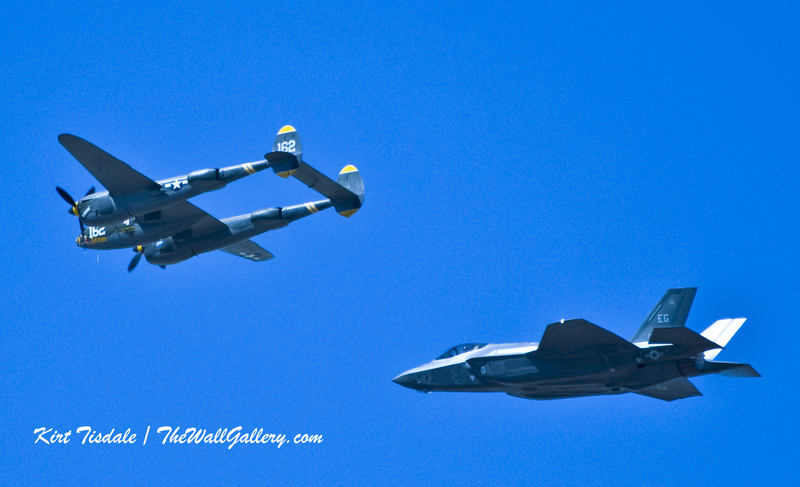 I have been working with some of the shots I took from the Air Show at Luke Air Force Base (reference prior blog). 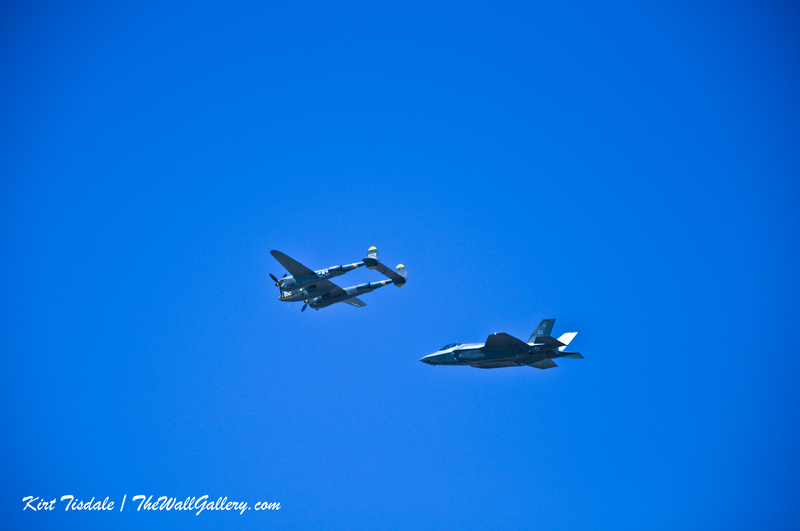 I did not haul my telephoto lens with me, so for the fly overs, I wasn’t sure what kind of shots I would get. 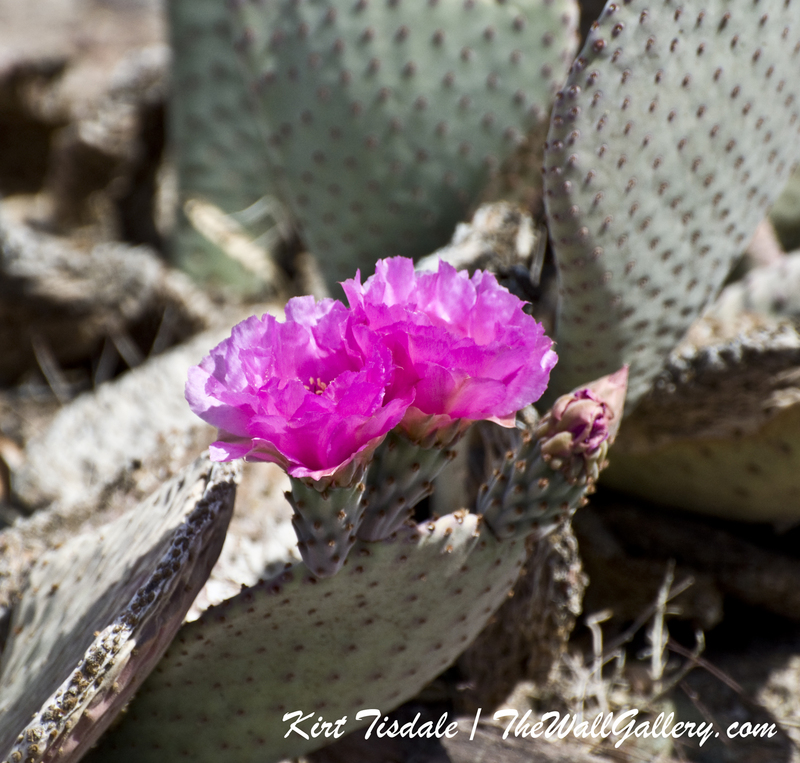 I did shoot everything in RAW format so I could get as much detail as possible. 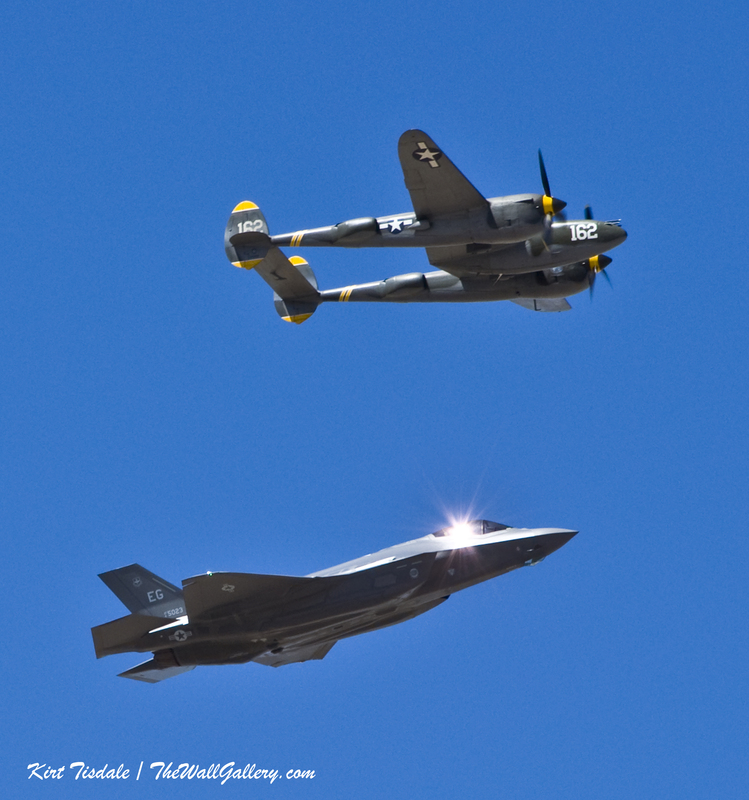 When I initially looked at the shots, I wasn’t sure I could do much with them….the planes looked lost and uninteresting. 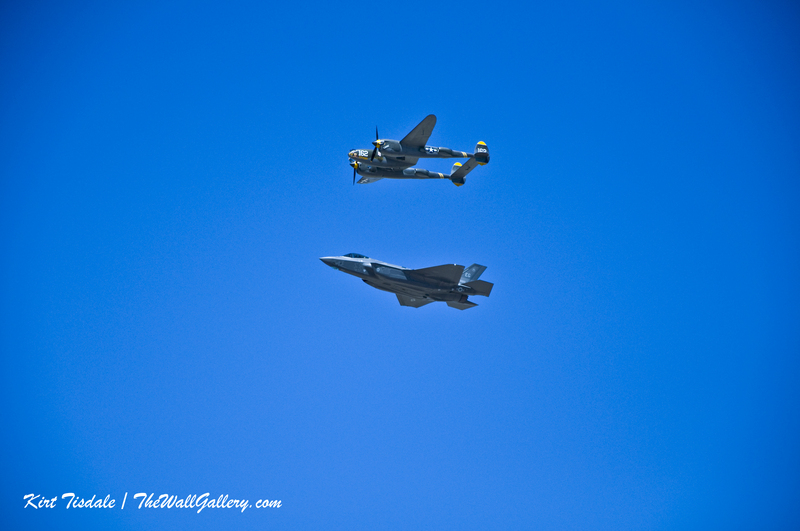 It was a totally different shoot I did after the show that made me go back and play with the fly over shots. 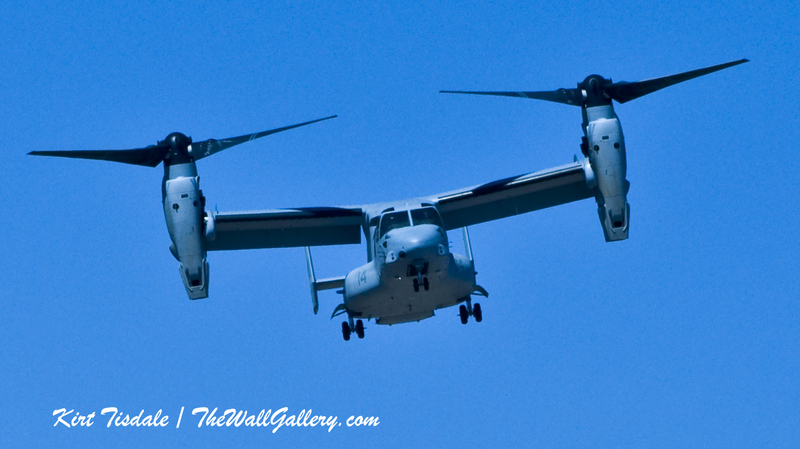 On this other shoot, I was looking at some of the pictures and decided to try some drastic cropping and took those shots to full clarity (RAW). The result was incredible, so I came back to these and did the same thing….I was really pleased with the results and have attached four of the shots with the original. Again, since I shot this in RAW format, I could go maximum clarity on the final shots which allows me to crop and not lose any detail. 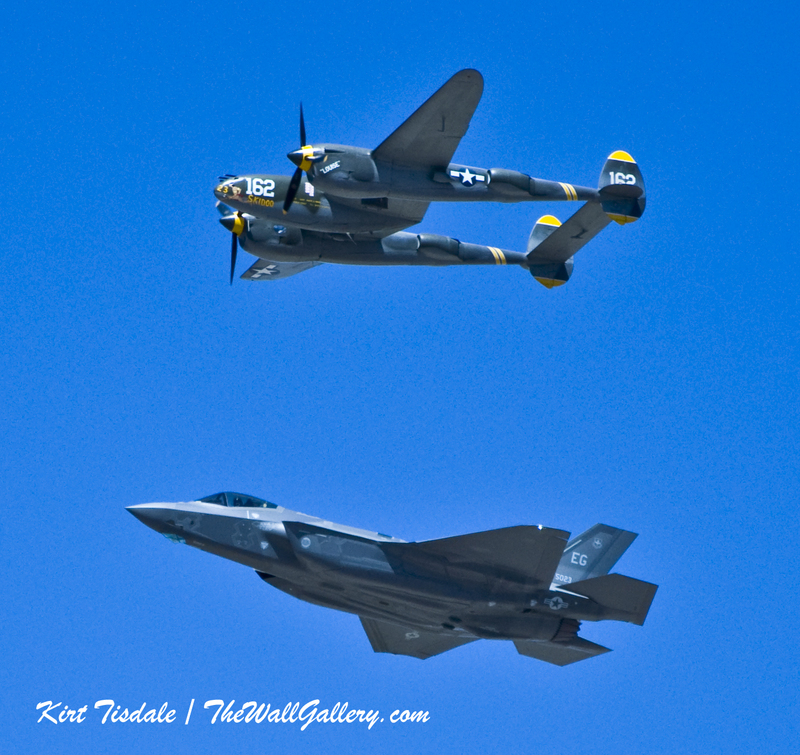 This entry was posted in Color Photography, Photography and tagged airplanes, color photography, jets, kirt tisdale, military aircraft, online art gallery, photographer on April 30, 2014 by Kirt D Tisdale. “The Tree By The River” is one of the new additions to my Landscape Watercolor Gallery. From one of my many hiking ventures last year in the Pacific Northwest, I was inspired by the view through this moss covered tree. It was one of those moments when you are deep in the forest and you come around a bend and through the trees you catch a glimpse of a mountain river. I love the sound of the water going over, under and around the many boulders in the river bed. For this art print, I used a subtle and soft watercolor technique. So subtle in fact you have to stop and look, is this a photo or a painting. I wanted to keep the detail of the scene, but wanted to soften it up slightly. 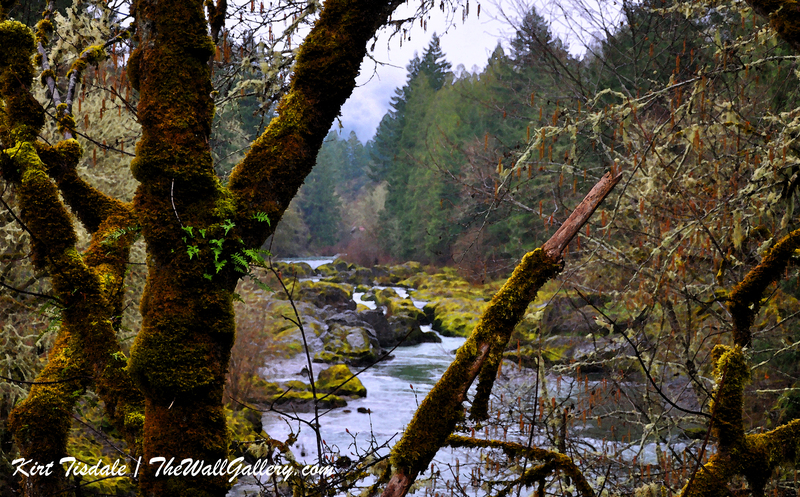 The tree stands as a focus in the foreground with the river in the background taking your eye from the moss covered trunk to the water and the surrounding forest. I invite you to come into the gallery to view the new additions to the collection in the Landscape Watercolor Gallery. 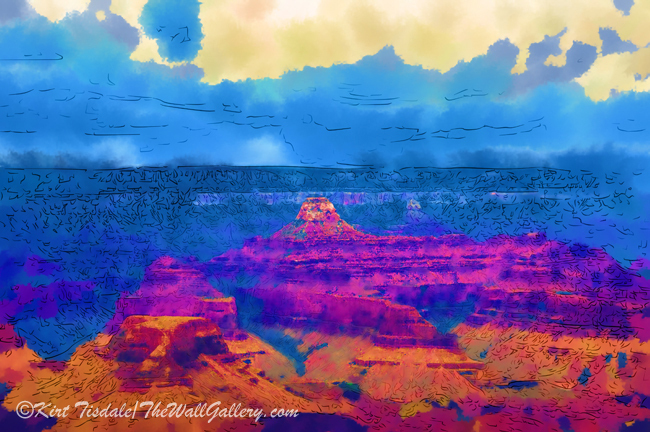 This entry was posted in Art Prints, Landscapes: Watercolor and tagged art prints, artist kirt tisdale, forest, interior design, mountain river, mountains, online art gallery, outdoors on April 28, 2014 by Kirt D Tisdale. I added a number of new prints to my Landscape Watercolor Gallery and one of them is “A Village Church”. 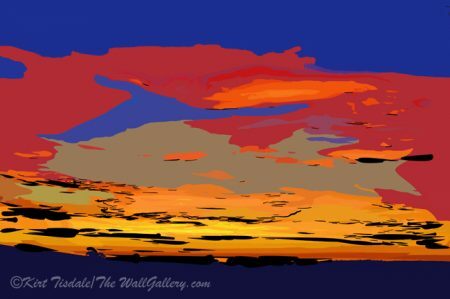 The setting for this art print is New England in the spring time. The church has a commanding view outward because it sits above most of the village. There is a lighted walkway winding its way up to the front of the church. The style of the print is a pointillism watercolor. Pointillism is a style of painting done with dots of color. By arranging the dots and shading the colors, the eye is able to see the shapes and contours the artist is portraying. The style lends itself to a softer more comfortable interior design where the art work isn’t a main focal point, but a subtle piece of the whole. 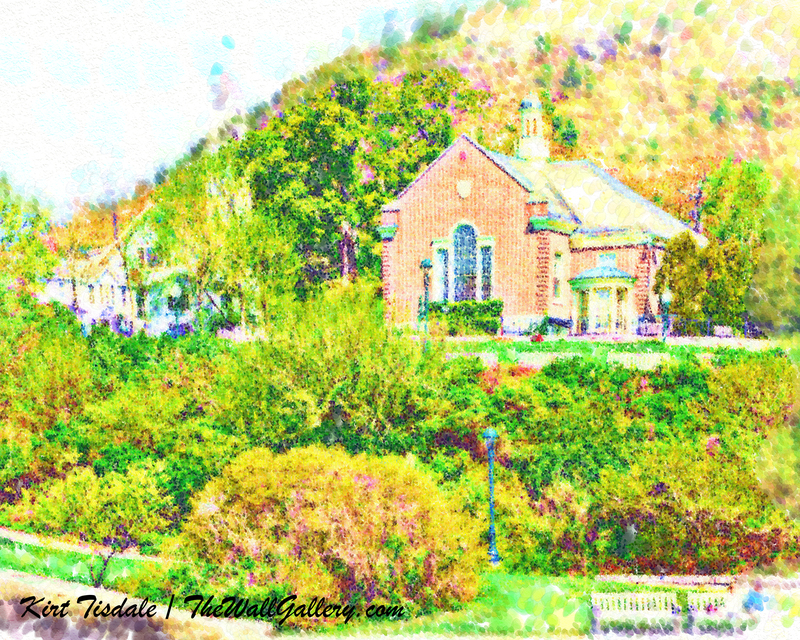 This entry was posted in Art Prints, Landscapes: Watercolor and tagged architectural art, art prints, artist kirt tisdale, interior design, new england villages, online art gallery, watercolor landscapes on April 25, 2014 by Kirt D Tisdale. A couple of weeks ago, I was out on a shoot when I spotted this old shack. 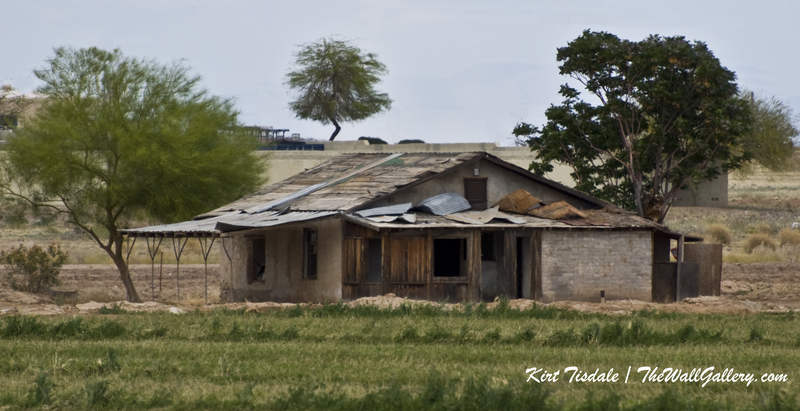 I have a fascination with old buildings in general, but dilapidated shacks seemed to have a photographic appeal. I especially like them in a sepia format as that gives the picture a dated and historical look. Today I wanted to share some of those steps starting with the original capture. From the original, I cropped the frame to have the final product focused on the shack in the center of the picture…. So, we now have the shack more prominent in the photo, but all of the electrical lines distract from the main goal…old rustic look…. With the electrical lines removed, the look speaks more rural, but I think I want to crop one last time to pull the shack in better…. 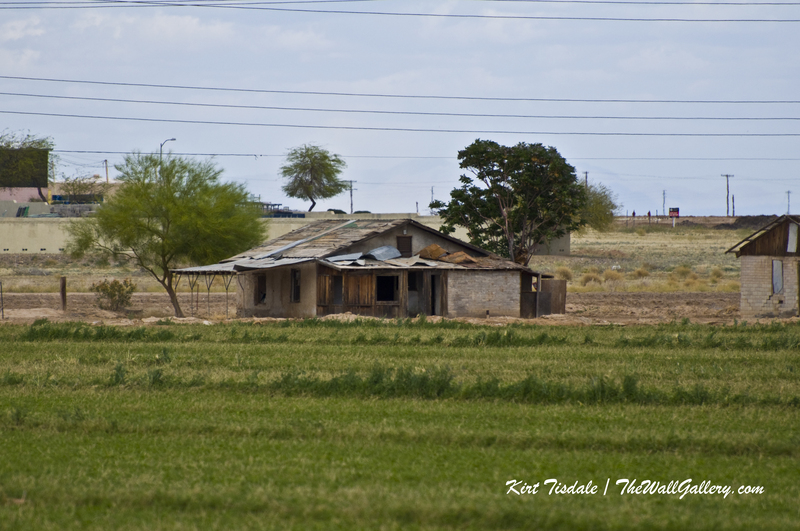 The final print looks like a picture taken years ago of an old ranch house abandoned in a very rural area. 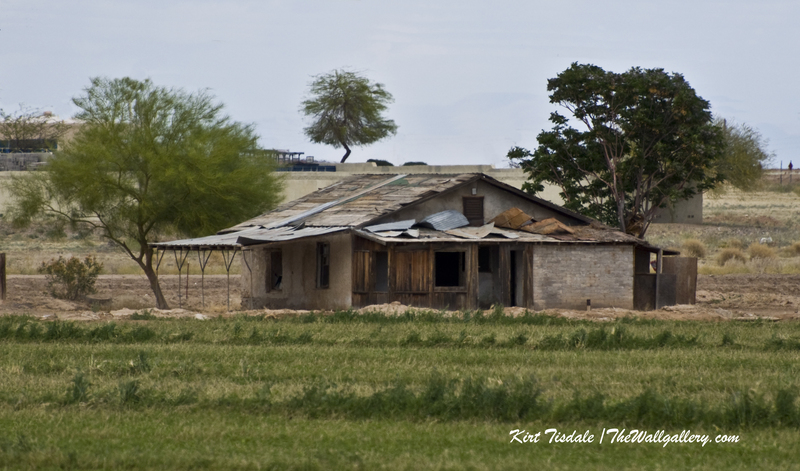 When in reality, the original picture was just taken two weeks ago and the abandoned farm-house sits a few blocks off a major freeway in a high growth area near Phoenix. This entry was posted in Photography, Sepia Photography and tagged artist kirt tisdale, interior design, online art gallery, photographer, photography, rural, sepia prints, Sepia Shack, sepia tone on April 23, 2014 by Kirt D Tisdale. 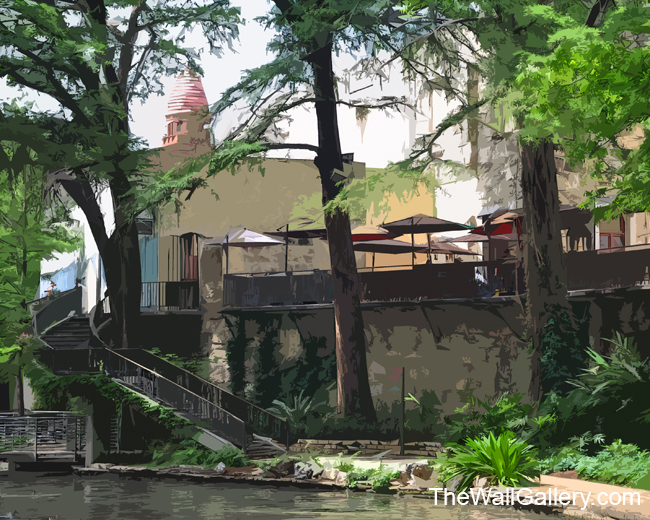 The San Antonio River Walk is the setting for my featured art prints in this post. 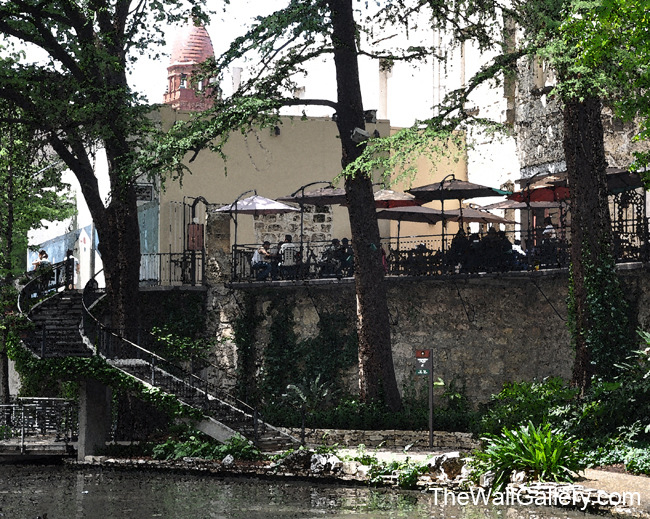 From a visit my wife and I did last May, I took a series of shots along the River Walk and the Alamo. 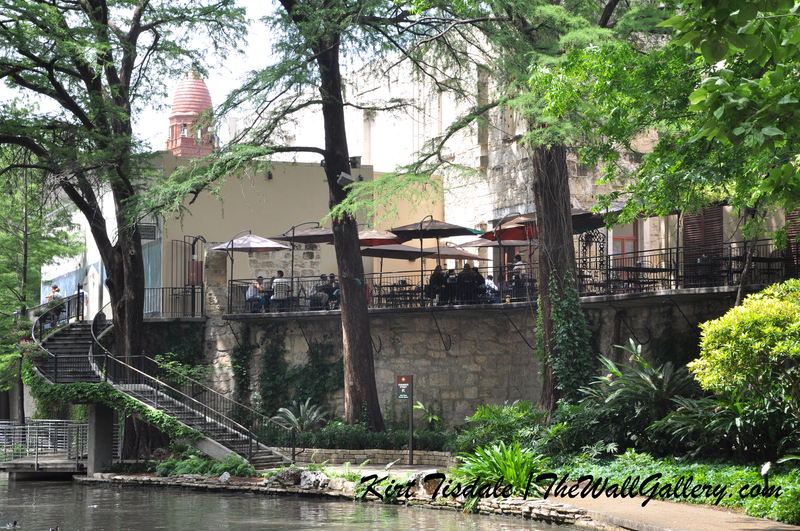 I have attached three of them to this post of an outdoor cafe nestled on the banks of the river. I wanted to show the original photograph and then two different water color versions based on the same scene. The two different versions highlight the importance of style of print as it relates to your interior design style. 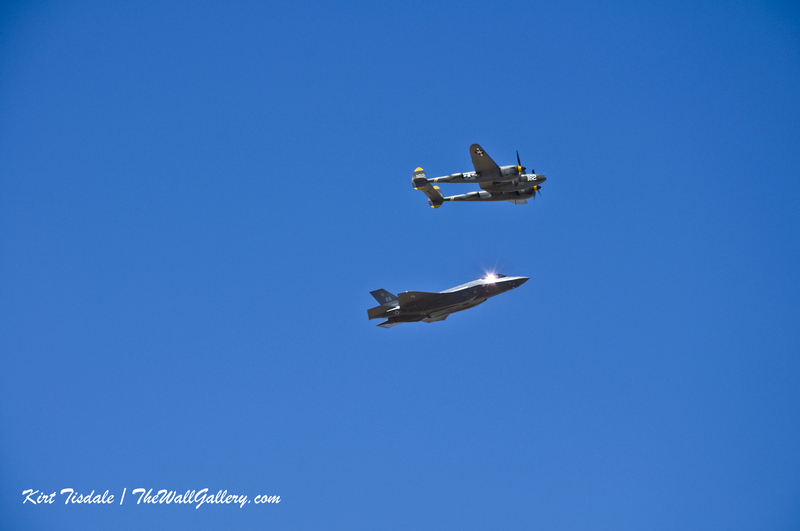 This is the original capture…. Using that scene as the basis, this is a traditional watercolor style of painting capturing the same composition. This style of watercolor creates a softer, warmer look to the scene and would typically be used in a room with a more traditional interior decor. The last attachment is the same scene done in a more abstract watercolor. Notice the details are combined into single shapes and colors giving this art print a look for a more contemporary decorating scheme. So, this is an example of where not only the scene can dictate a specific look, but the style the art print is done in also dictates a look for the interior decorating style you are working with. 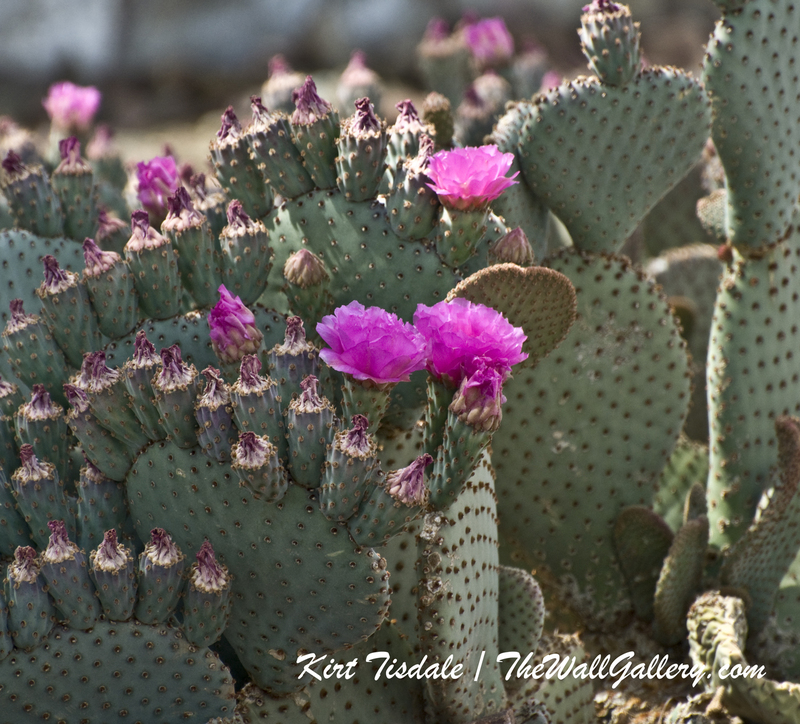 This entry was posted in Art Prints, Color Photography, Landscapes: Watercolor and tagged art gallery, art prints, artist kirt tisdale, color photography, interior design, online art gallery, photography, san antonio river walk, watercolor art, watercolor landscapes on April 21, 2014 by Kirt D Tisdale. 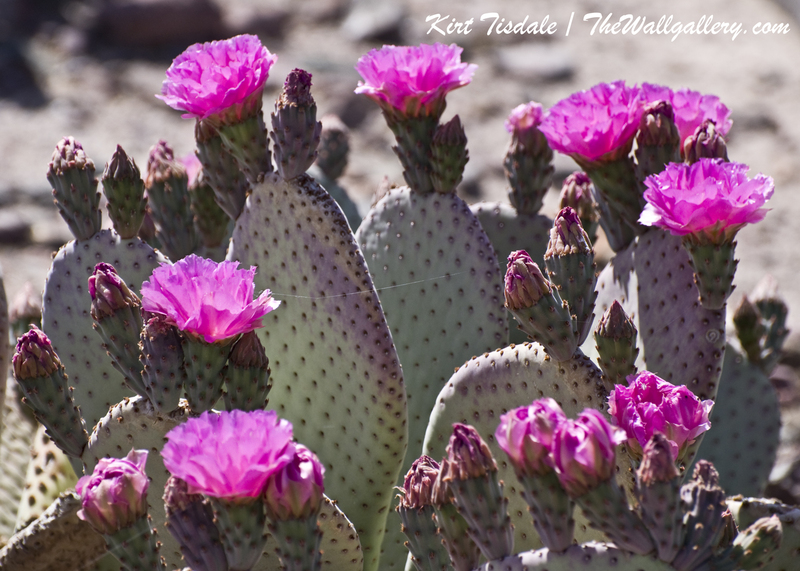 This entry was posted in Color Photography, Photography, Uncategorized and tagged cactus, color photography, desert photography, desert plants, interior design, kirt tisdale, online art gallery, photographer, photography, spring on April 16, 2014 by Kirt D Tisdale. 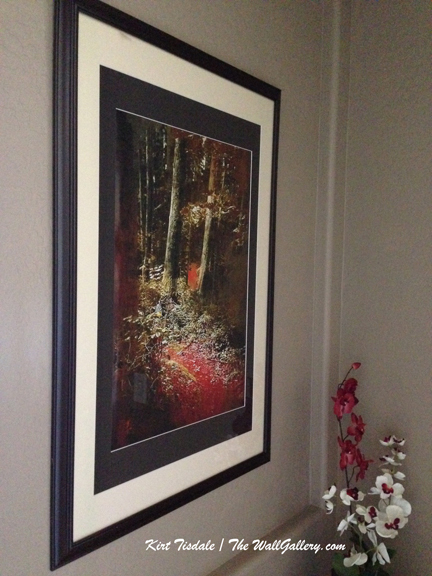 Another new addition to the Landscape Oil Gallery and to an art alcove in our home, is the attached art print “The Path”. 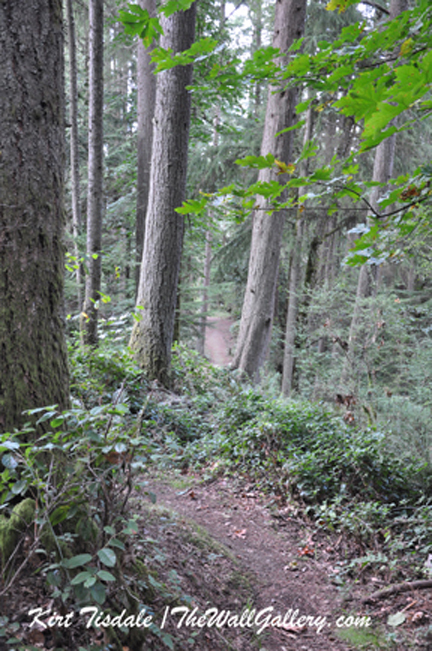 Having spent 6 months living in the Seattle area last year, I have a number of hiking pictures with trails and paths. I have used a number of them for my Inspiration Gallery, but I was wanting to try something totally different with a couple of them. 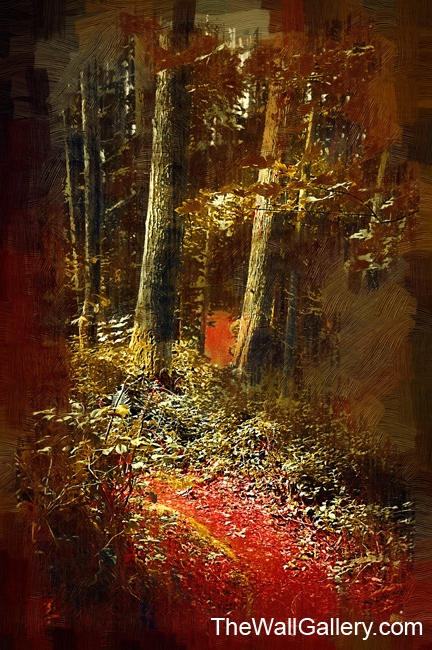 Using a gothic oil technique (large brush strokes and warm earth tones), I created “The Path” . I added the red tone more for a color push and to make the path stand out. This was one of those prints I was still on the fence about and not really sure I was going to add it to the collection, when about a month ago, my wife came into my office while I was working on it. She studied the piece for awhile without saying anything (trust me she is brutally honest with her thoughts) and asked to have it framed for an art alcove we have in one of our hallways. 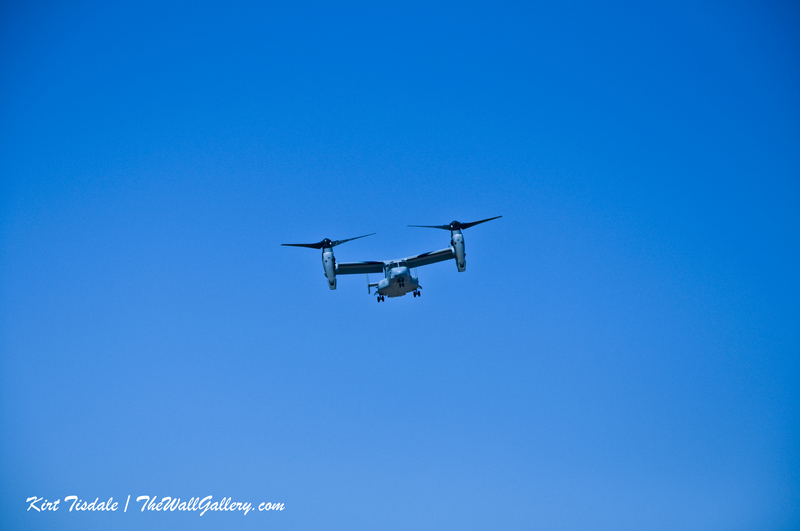 I was truly surprised, but had it framed and matted per her request. 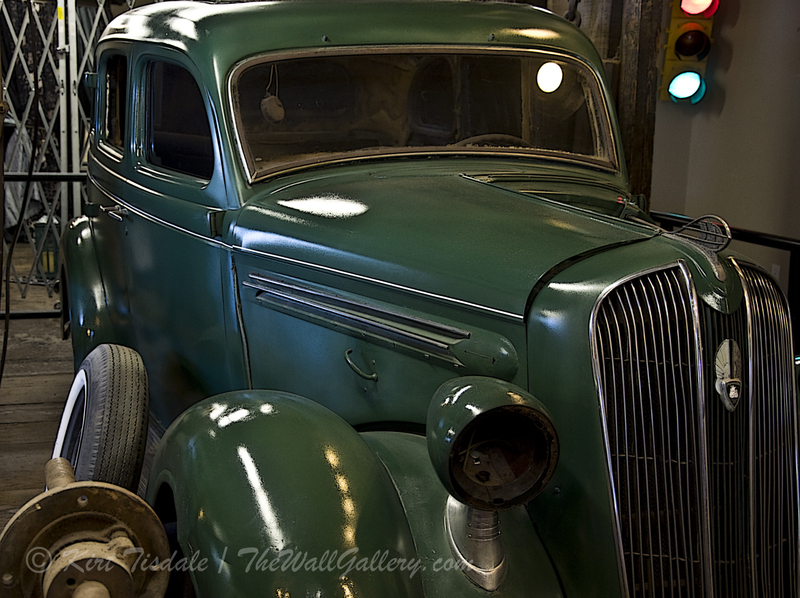 I am drawn to this particular style of art with the old world feel as it compliments a number of interior designs. So, all of that said, I have attached the completed art print, an iPhone photo of the print matted and framed and then a copy of the original shot it is based on. Kind of an interesting evolution from original photo to framed art print. Thanks for stopping by! 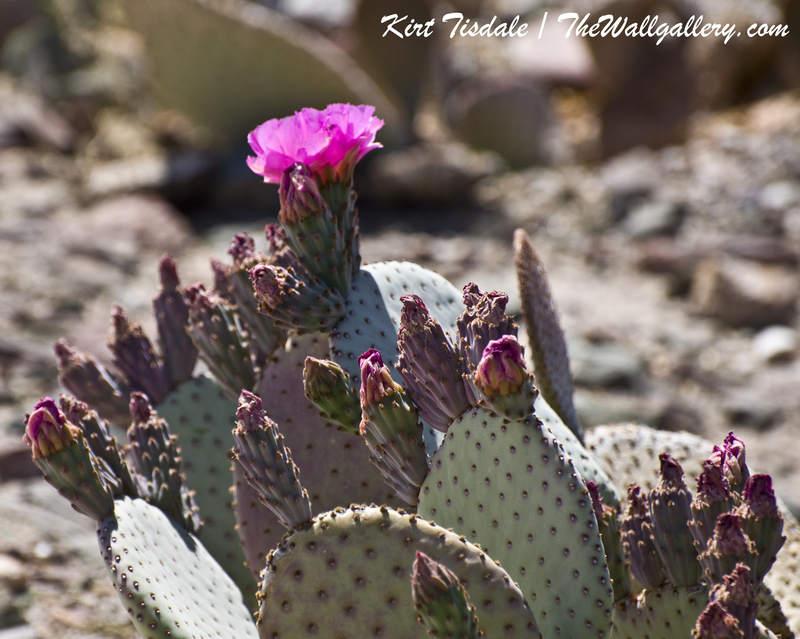 This entry was posted in Art Prints, Color Photography and tagged art gallery, art prints, forest, hiking, interior design, kirt tisdale, oil painting, online art gallery, outdoors, photographer on April 14, 2014 by Kirt D Tisdale.